Pam Smith, Verwood fundraiser, mother of three and grandmother has just returned from her 11th trek with Macmillan Cancer Support, but it was also her 26th in total as she does many treks by herself. This time Pam trekked with Macmillan through the stunning Kerala National Park in Southern India. She joined 21 other trekkers who took on the nine peaks of Meesapulimala Peak (the second highest in Southern India) and crossed the high plateau of the Western Ghats. This amazing, but very tough challenge took the trekkers through fragrant cardamom, coffee and tea plantations, then on up to spectacular ridges and mountains before descending through mango and coconut plantations. During the trek they passed through hill stations, mountain villages and camped along the way with basic conditions and no washing facilities. Pam said, “It was very physically challenging for many of the trekkers as the days were very long and we often ended the day by spending the last two hours walking in the dark with head torches”. 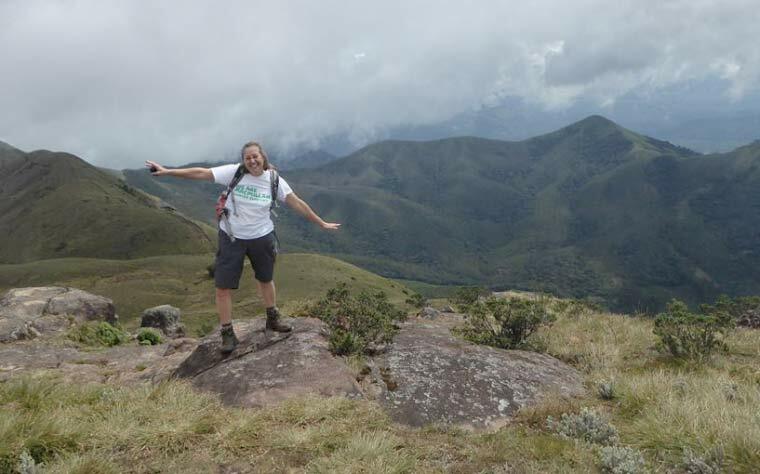 Pam has raised almost £45,000 in recent years through trekking events. She offers talks with slides of her many treks to local groups (for a donation to Macmillan) and is always delighted to receive item for tombolas or sponsorship for her fundraising. Please contact Pam by email at pamcsmith@hotmail.co.uk, tel 01202 822198, or donate at https://www.justgiving.com/fundraising/Pam-Smith11. Pam would like to thank everyone who supported her this year, especially local schools, the Rotary club, Ringwood carnival and her many kind supporters. It’s never long before Pam has another adventure planned and next year Pam plans to trek Coast to Coast across Costa Rica, which should be quite a challenge.